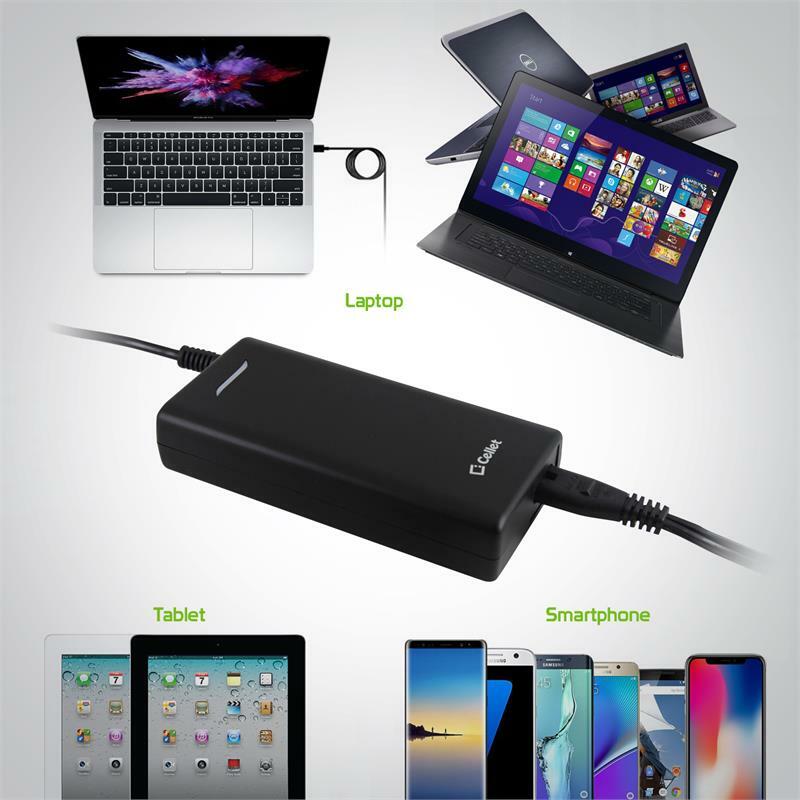 Use existing USB cables to charge your Apple iPhone X or Samsung Galaxy Note 8 in the USB-A port. 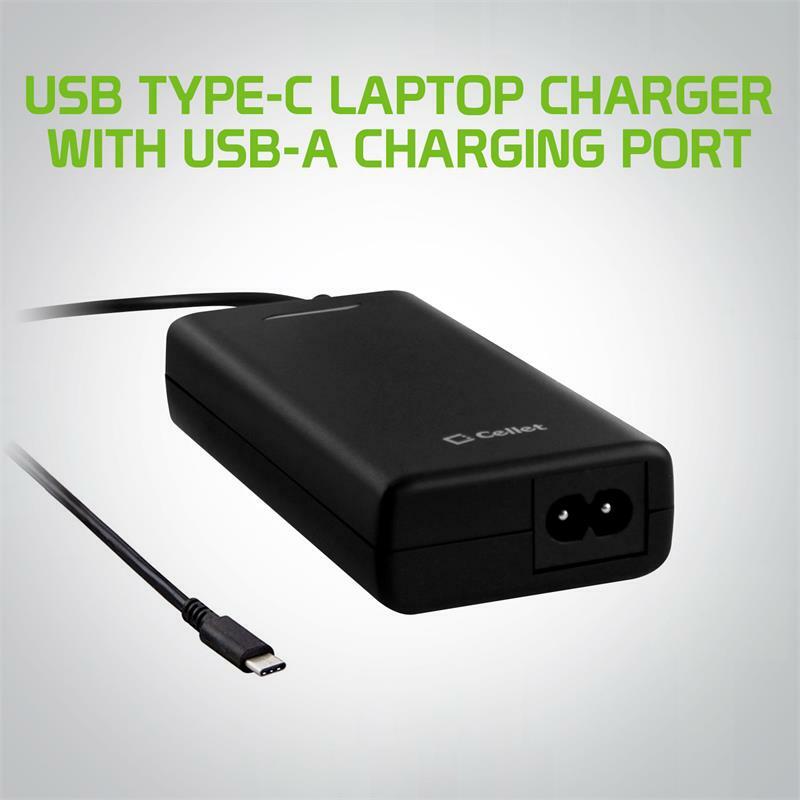 Charge your laptop with the USB-C cable to charge your Apple MacBook Pro 15” (2016), 13” (2016), 12”(2015), Google Pixel Book, HP Spectre, Dell XPS and other Devices with a USB Type-C Connector at high speeds with the Cellet USC Type-C laptop charger. 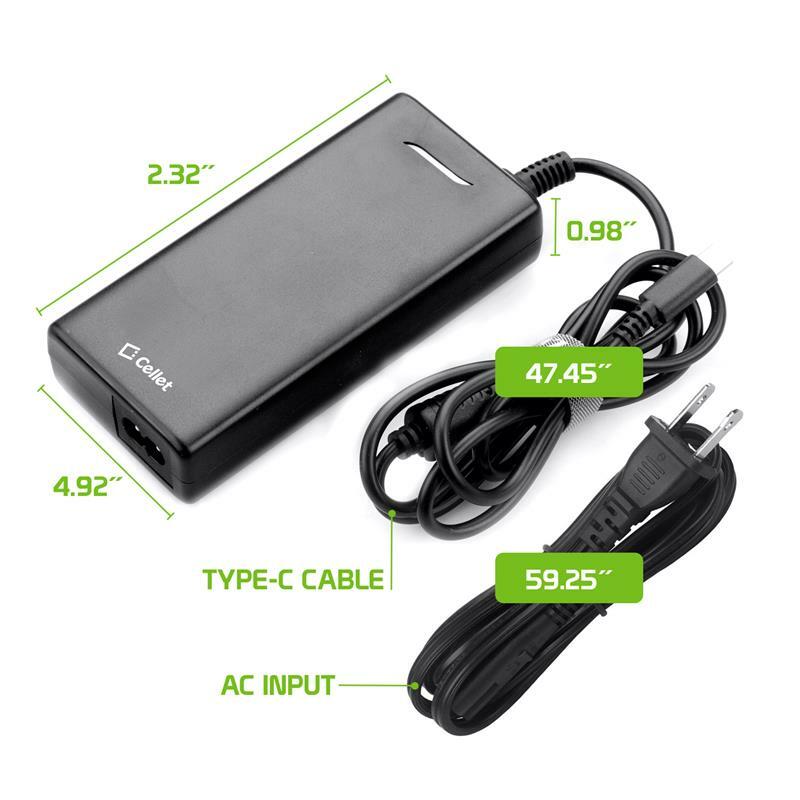 With its global voltage compatibility, (100-240V) the universal USB port lets you change your tablet, Smartphones and laptops at rapid speeds. 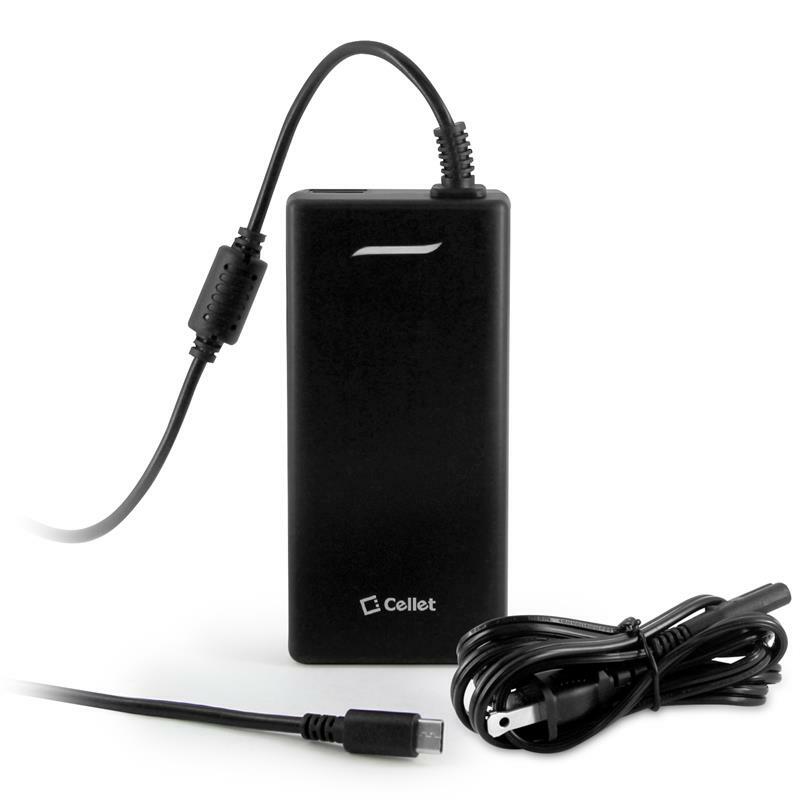 Innovated technology prevents your device from overcharging, overheating and overcurrent. Its slim and compact design makes it easier to carry when on the go.